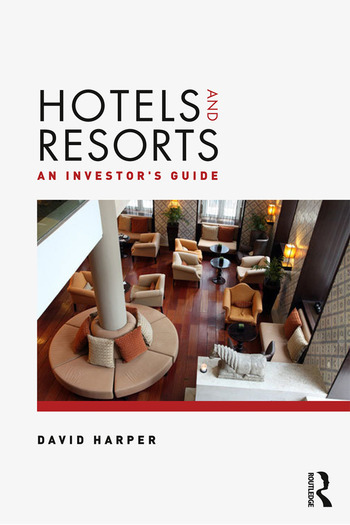 Hotels and Resorts: An investor's guide presents a comprehensive analysis of how hotels, golf courses, spas serviced apartments, gyms and health clubs and resorts are developed, operate and are valued. Drawing on over 18 years’ experience in the leisure property industry, David Harper provides invaluable advice on how to buy, develop and sell such properties. Working through the required due diligence process for purchases, including how to identify a "good buy", through the "route map" for a successful development and ending with how to ensure you maximise your returns when selling the asset, this book covers the whole life-cycle of leisure property ownership. David Harper is the managing director of Leisure Property Services, a fellow of the Royal Institute of Chartered Surveyors and the author of Valuation of Hotels for Investors. He is a founding member of Hotel Partners Africa (HPA), a consultancy offering a comprehensive range of services to hotel owners, operators and investors from initial feasibility to sale and exit. "… a go-to source at any stage of the investment’s lifecycle to deliver business models that optimize assets and align with owner expectations."